Yahoo’s holdings in the Chinese e-commerce giant and Yahoo Japan are valuable, but selling them brings tax pain. 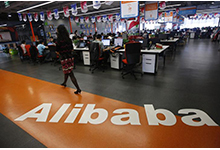 IPO hopeful Alibaba wants to reduce foreign internet groups’ stakes. Buying Yahoo could reduce both problems. Industrial logic, though, suggests an eBay deal instead.